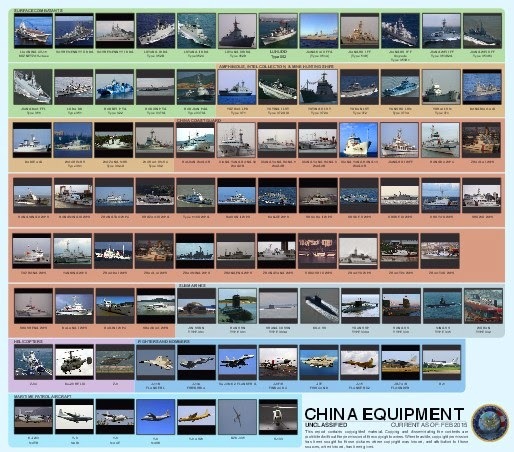 In order to realize the growth of Chinese Navy, it is worth mentioning the following quote by Dr. Andrew S. Erickson: "Last year alone, China’s navy laid/launched/commissioned more than 60 vessels, more naval ships than any other country in the world! ONI expects similar achievement for 2015." Dr. Andrew S. Erickson is an Associate Professor in the Strategic Research Department at the U.S. 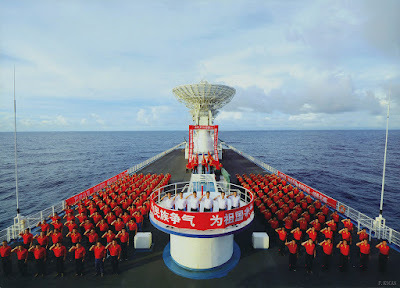 Naval War College (NWC) and a core founding member of the department’s China Maritime Studies Institute (CMSI). He serves on the Naval War College Review’s Editorial Board. In his great website, Dr. Erickson analyzes the rise of the superpower and its capabilities. In relation to the ONI report, Dr. Erickson offers highlights from the document and explain their significance in his blog page here. PLAN and MLE Recognition and Identification Guide. For the high resolution poster click here. 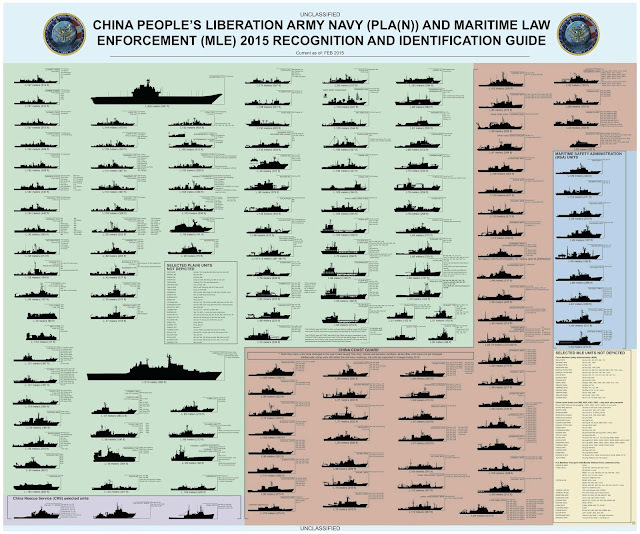 Preview of the People’s Liberation Army Navy (PLAN) and Maritime Law Enforcement (MLE) Equipment. For the high resolution poster click here. If the link does not work try here. PLAN and MLE Equipment. For the high resolution poster click here. 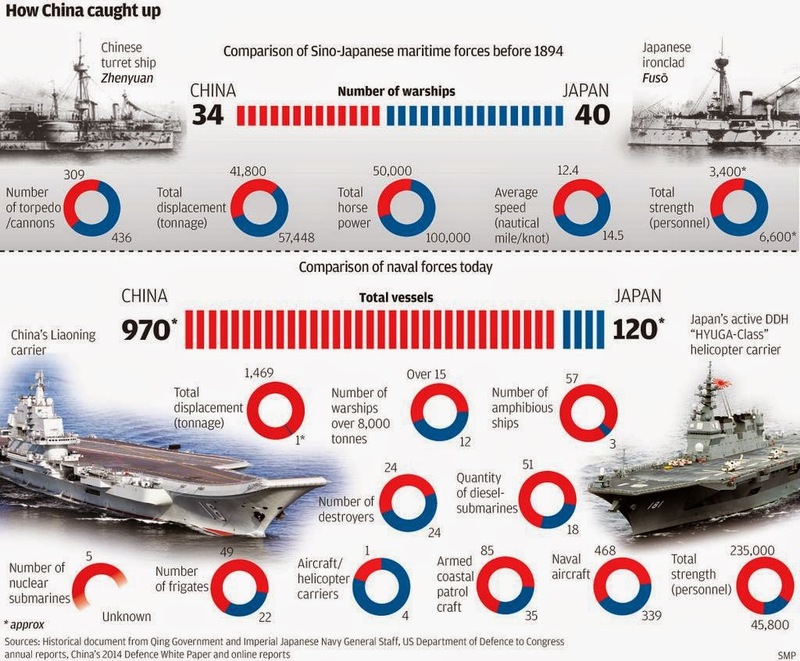 One more infographic that depicts the growth of Chinese Navy in comparison with Japanese Navy. And another infographic that illustrates the most important naval classes of submarines, destroyers, landing ships and frigates that serve or served in PLAN. This infographic does not include new classes of warships such as the Type 052D class of destroyers or other categories of warships such as fast attack craft etc. 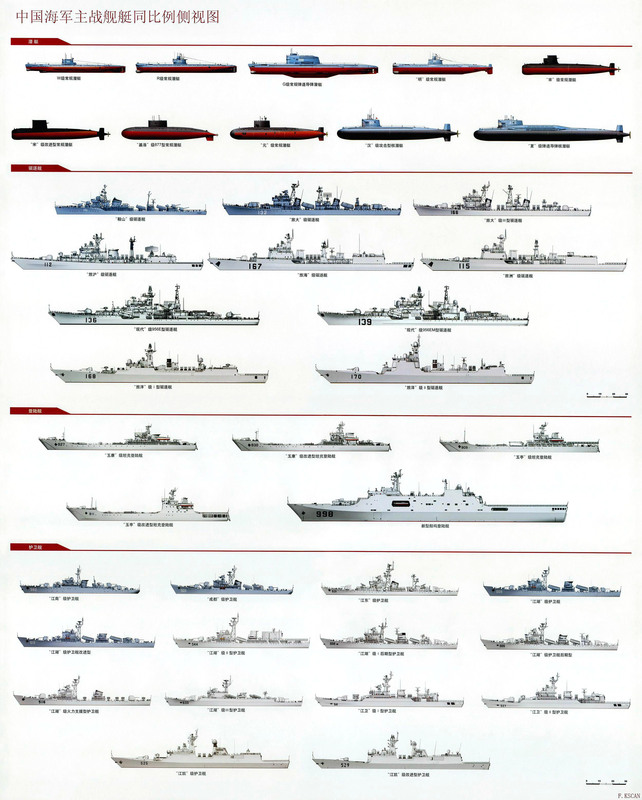 PLAN major naval classes. For a high resolution poster click here.